Ylang Ylang essential oils come from the large petals of the ylang ylang tree. Usually vibrant in color, ylang ylang is a diverse plant with medicinal qualities. It has been used and worshiped for thousands of years. In the Philippines it was used widely to treat cuts, wounds and snake bites. In other parts of the world, the plant was use to its entirety, not wasting a single pedal. Its 14 hour distillation process condemns the slow process to create the oil and the long-lasting effects it has on various and sundry parts of everyday life. 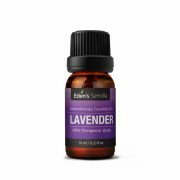 Ylang ylang mixes comfortably with lavender, grapefruit and sandalwood. Hair care product: in recent studies, ylang ylang is said to help treat head lice. When mixed with coconut oil and anise oil, head lice are less likely to reproduce. Ylang ylang can be added to any shampoo or conditioner to not only increase the scent but to also add relaxation through the scalp. Release tension: Ylang ylang can be added to a warm bath for relaxation benefits. Or add ylang ylang to a bath with Epsom salt. Relax in Epsom salt and ylang ylang for an hour to decrease tension. 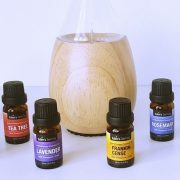 Increase awareness and balance mind, body and soul: essential oils carry properties that heighten your senses and bring together the mind-body connection. Because of ylang ylang and its association with decreasing symptoms of depression, it’s clear that the scent and medicinal properties bridge the gap between the synaptic connections and healthy soul. Lifts and elevates mood: the more conventional way to use ylang ylang is to fill a perfume bottle with the oil and place a swatch below the nostrils or on the wrist. Ylang ylang elevates mood and increases concentration when sniffed throughout the day. 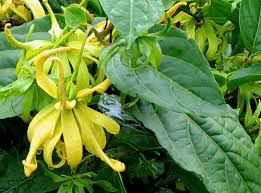 Antidepressant: there is some science behind the idea that ylang ylang decreases symptoms of depression. The oil can increase your mood, which can help decrease anxiety and symptoms of depression. Place a few drops of ylang ylang in a humidifier before bed to not only increase moisture in the air but increase your mood throughout the night. Antiseptic. Ylang ylang has a unique quality in that it can decrease the potential for tetanus germs. This unique property helps protect wounds. Do not apply directly to a wound as this may sting, but when diluted with water or another carrier oil, the effects can be desirable. Treat acne: ylang ylang is a great option to use as a preventative measure for acne scarring. Use sparingly as you do not want to clog pores. Use a small drop on areas with acne. Repeat every few days ensuring you do so with a clean and moisturized face. Use sparingly over time and stop using if you notice irritation. Ease cramping: while there’s no magic pill for menstrual cramps, ylang ylang is said to benefit menstrual cramping. 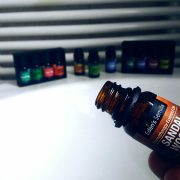 Make an oil blend! Use a thicker oil as the base such as avocado or coconut oil. Add a few drops of ylang ylang to the base oil and rub in the area of pain. This works wonders for lymph nodes as lymph nodes can frequently experience blockage. Winter Care Routine Does Washing Hair With Oil Really Work?